An active day off with your colleagues, or are you planning a corporate party ? Well, then come to Silverstone Partycenter to make this day to an unforgettable event. The many available activities will give “Teambuilding” an entire new boost. Moreover, it’s a great way to meet and introduce (new) collegues in a relaxed atmosphere. Your staff can opt for several activities, like karting, lasergames, bungee-football, bowling or challenging each other during the gladiator game in our Activity Hall. Are you specifically interested in Teambuilding activiteities ? 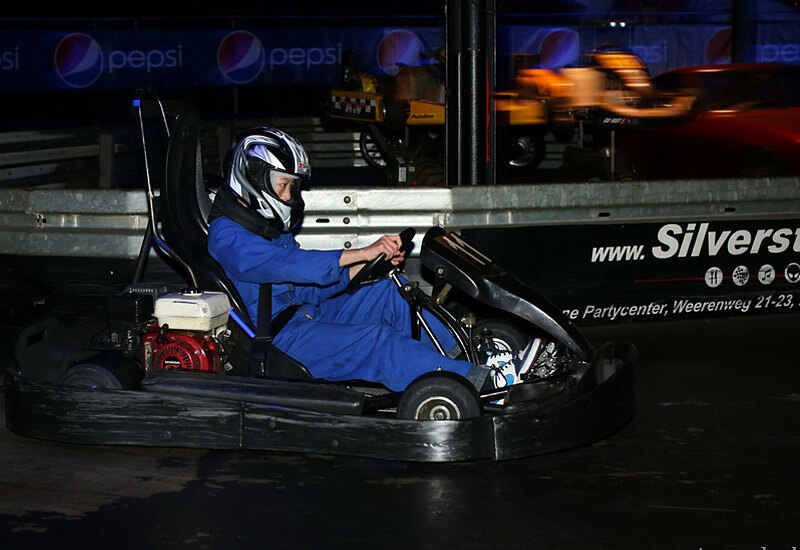 Then opt for an arrangement where cooperation, tactics and communication are key elements, like the Karting Endurance Races. 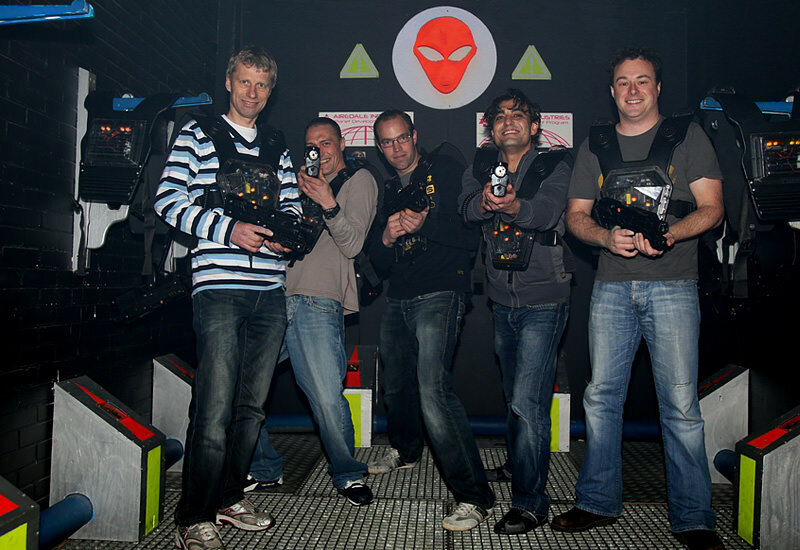 Or let teams challenge each other in de spectaculair lasergame arena. You can enhance these activities with a visit to our pleasant bowling alley. All arrangements can be combined and scaled up with Stone-grill, our Buffets or A-la-Carte dishes. Additionally the arrangements scan be extended with 55 minutes Bowling. Partycenter Silverstone is centrally located in the main rural area of The Netherlands and can be easily reached from Amsterdam, Haarlem, Beverwijk and surroundings. Parking is FREE. Our spacious halls and varied catering assortment are ideal for welcoming large groups.. We offer tasteful areas, including a Medieval Knight’s Hall and a real Pub. If the participants would like to have a break in between all the activities, our Ciruit-restaurant offers delicious snacks and drinks, whilst still being able to follow all the antics of their colleagues on the track. Silverstone is specialised in customized corporate parties. For smaller or bigger companies, for a bigger or smaller budget; we can arrange a program that will fit your requirements. Either-or you intend to come with a big group or a small team, a customized program will be possible. You can choose from several inexpensive arrangements, which can exist of varied activities, including a nibble and a sip, with an eventually added cosy dinner or a stone-grill evening. Of course, it ’s also possible to make your own layout of the activities, or add activities to your corporate party. Would you lile to add a theme-workshop, a keynote speaker, Dj or band to enhance your activities at Silverstone Partycenter ? We offer the location and equipment to arrange this for you. Come along or contact us, so we can make you a customized proposal.